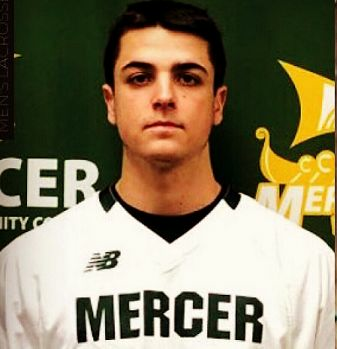 Brady Moore, former HVL player and Boys 8 coach, was named the National Junior College Athletics Association (NJCAA) Player of the Week (2/21/19- 2/24/19) for Men's Lacrosse. Moore, a Hopewell Valley Central High School alumus, plays attack for the Mercer County Community College Men's Lacrosse. Moore amassed 11 points for the nationally ranked MCCC Vikings (10th) in their first game on February 24th in a 24-7 win over Finger Lakes Community College. Congratulaions, Brady! Hopewell Valley Lacrosse tees, hoodies, hats, and more are now available via our merchandise portal at Ewing Sports! Additional information available on our Online Store page. 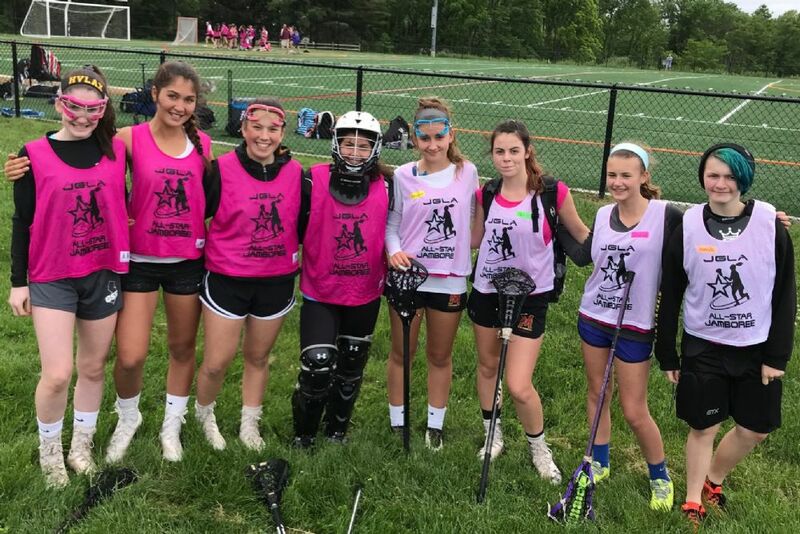 The 2018 Jersey Girls League Association (JGLA) 8th Grade All-Star Jamboree took place on Sunday, June 3rd in Basking Ridge, NJ. Eighth grade lacrosse players from all over the state of New Jersey, who who have a great love for the game, as well as influence their teammates in a positive way, were selected to play in the Jamboree. Hopewell Valley Lacrosse League's Brooke Blackwell, Peyton Branagh, Eva Guerino, Tai Harkins, Mariel Haynes, Isabella Randazzo, Maddie Ryan, and Grace Suter solidly represented HVL. We couldn't be more proud! 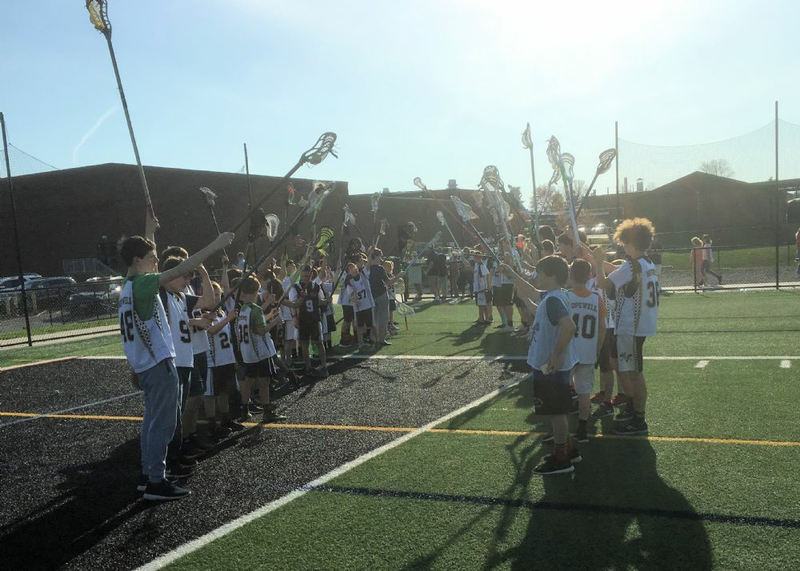 In addition to a day of stellar lacrosse competition, participants had the opportunity to submit essays, addressing their love for the game of lacrosse. We are excited to announce that HVL's Peyton Branagh's essay placed third in the 2018 JGLA Jamboree Essay contest! Congratulations, Peyton! Congratulations to Sabrina "Bean" Schrader, a Hopewell Valley Lacrosse alum, for being named a US Lacrosse All-American. 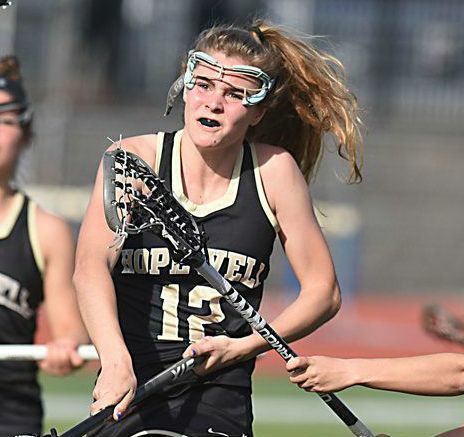 Along with sixteen other players, she is part of the US Lacrosse All-American team for South Jersey. Miss Schrader is graduating this month from Central High School, where she played midfield for the varsity lacrosse team. Additionaly, she rounded out her three-sport varsity high school career with soccer and basketball. This coming fall, she'll be continuing her studies, as well as her lacrosse career in North Carolina. We wish her the best of luck in her future endeavors -- on and off the field. Please visit our HVL Alumni page to see where other Hopewell Valley Lacrosse alumni are headed to continue their lacrosse careers at the college level. The boys of Hopewell Valley Lacrosse came together to cheer on Hopewell Valley Central High School's Boys Varsity Lacrosse to a 9-7 win over Allentown. Our boys, proudly representing in their HVL jerseys, created a tunnel with their lacrosse sticks for the CHS Varsity Team to run through when entering the field for warm ups. At halftime, each HVL member, competing for gift certificates from Uncle Ed's Creamery, took his best shot to make a goal from midfield. Additionally, four of our HVL members helped out and served as ball boys during the match. 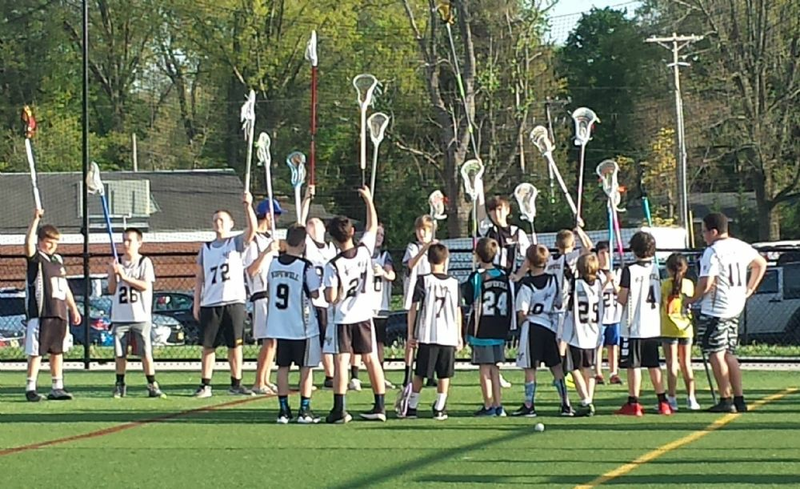 The evening was a great success as the local lacrosse community came together to cheer on the Bulldogs -- especially as the Varsity Team came back from behind for a win! Greg Raschdorf, one of the founders of the Hopewell Valley Lacrosse League, was inducted into the New Jersey Lacrosse Hall of Fame. Raschdorf has been involved in lacrosse in the Hopewell Valley more than 35 years. He was head coach of the Pennington YMCA boys high school team from 1987-89. He helped found the Hopewell Valley Lacrosse League in 1990 and served as president of the board from 1994-95. He was a head coach for 10 years and started the Hopewell Valley Lacrosse Invitational, celebrating it's 25th year this year. The league presents a “Raschdorf Award” each year to a boy and a girl at each grade level who represents the integrity and passion he brings to the game. Raschdorf said that the league’s mission from the start was to create opportunities to teach lacrosse to young people in Central Jersey. When he co-founded the program only Princeton had a boys high school lacrosse team. Now there are 40-some programs to the south and east. 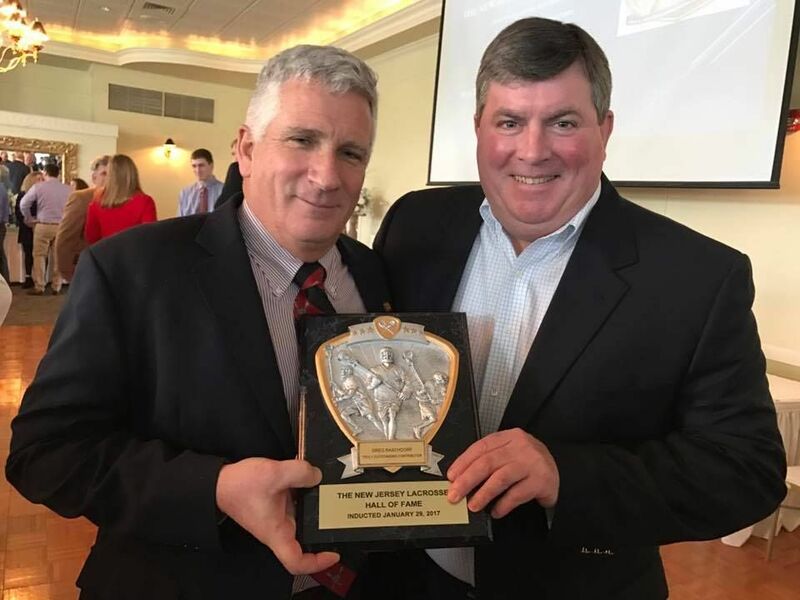 "I appreciate the accolades,” Raschdorf said, “but this is about all the people in the Central Jersey region who have been involved in growing the great game of lacrosse to the point of where it is today. … HVLL has been true to our mission and with the help of a lot of other constituencies and devoted people, we will continue to spread and improve our great game." An all-Ivy League defenseman, Raschorf played at Cornell from 1976-79, when the Big Red won four Ivy League titles and two NCAA national championships. Raschdorf attended Sewanhaka high school in New York. He began his New Jersey lacrosse career following college, as a player for the New Jersey Lacrosse Club in 1980. He later became General Manager in 1985 for two years. From 1991-92 he was a volunteer assistant coach under Bill Tierney at Princeton University, winning two Ivy League titles and an NCAA Championship in 1992. He coached the Hun School boys’ team from 2000-02 and was named Bianchi Division Coach of the Year in 2002. His volunteer work began as a founding member of the New Jersey Chapter of the Lacrosse Foundation in 1984. He was a founding member and president of the Central Jersey Youth Lacrosse League in 1999 and has been involved as a board member of the Bobby Campbell Foundation and a founder of the Trenton BRIDGE Program. Greg has been married 37 years to Marie, who he met in high school. The live in Pennington. Their son, Tim, and daughters, Kimberly and Nicole, played in the program. Tim and Kimberly played at HV Central High School. Tim played collegiately at Syracuse, winning an NCAA national championship in 2006. Raschdorf joins former HV Lacrosse board member Chris Cahill in the NJ Lacrosse Hall of Fame. Cahill, who was inducted in 2011, continues to serve Hopewell Valley Lacrosse as the coordinator of the annual girls Lax in the Valley Tournament and is president of the Bobby Campbell Foundation and Trenton BRIDGE Program. 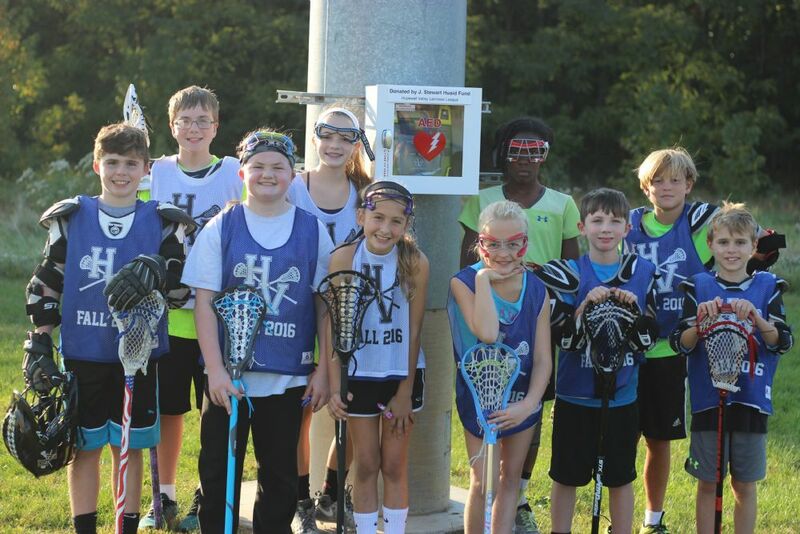 The Hopewell Valley Lacrosse League, with the cooperation of the J. Stewart Husid Fund, has donated two automatic external defibrillators (AEDs) and heating cabinets to the Hopewell Township Recreation Department. The medical devices have been installed at the Twin Pines turf field and the Independence Park comfort building. In an emergency, the devices can analyze the heart’s rhythm and deliver an electrical shock, know as defibrillation, to help the heart re-establish and effective rhythm. In addition to the cost of the medical devices, the generous support from the J. Stewart Husid Fund paid for 30 youth coaches representing five organizations to be certified in CPR/AED by the Pennington Rescue Squad last fall. Additional classes will be set up to train additional coaches and parents throughout the community.